Dental Implants - Restoring a Solid Foundation - When people lose permanent teeth due to accident, injury, disease or extraction, dental implants can be a secure, functional replacement option. Fixed Bridges - If you've lost teeth due to accident, injury, or gum disease, we can create a permanent 'bridge' appliance to replace the missing teeth. Teeth Whitening - Teeth whitening is a safe, effective, and lasting way to lighten most people's smiles, available in a wide variety of methods and concentrations for various kinds of teeth. Porcelain Veneers/Laminates - Porcelain veneers or laminates can often provide people who have chipped, stained, discolored, unevenly spaced, or even slightly crooked front teeth with a completely new-looking smile in just a few simple appointments. Crowns - We've Got You Covered - If you're self-conscious about your smile due to cracked, broken, decayed, or worn teeth, we can bring back your healthy, natural-looking smile with dental crowns. Invisalign - FDA-approved Invisalign is the "invisible" way to straighten your teeth without wearing conventional metal braces. 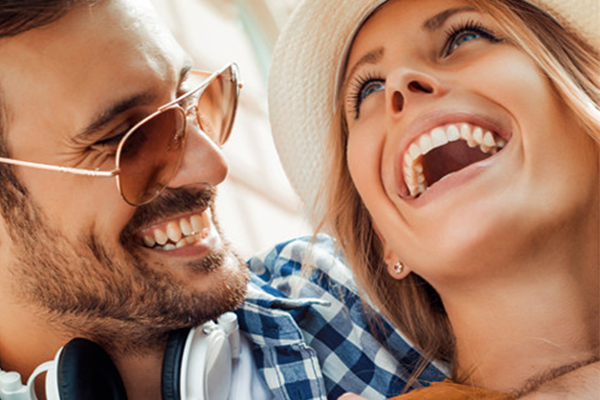 Invisalign uses a series of clear, removable custom-made aligners to move your teeth. NTI - Teeth grinding and clenching, migraines, head, neck, or jaw pain may be associated with a jaw muscle and nerve problem. The NTI tension suppression system can alleviate this pain without surgery or expensive therapies. Oral Sedation - Among the most common phobias, visiting the dentist causes many people severe anxiety and stress. Oral sedation alleviates anxiety, so you can face dental appointments with confidence. VELscope - This technology allows us to quickly and effectively screen patients for oral cancer. When this type of cancer is detected early, it has an excellent cure rate.